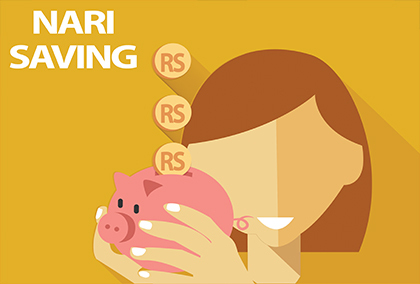 Nari Saving account is focused for ladies to develop saving habit and empower themselves to earn financially advantageous to keep unneeded funds and earn interest on quarterly basis through deposit activities. Specialy focused for girls and women. Interest given on quarterly capitalization of interest. No limit in amount Deposit and Withdrawal. Facility of Daily, weekly and monthly collection.